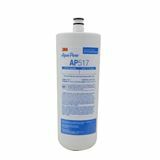 AP117 Dirt/Rust Taste/Odor Cartridge For Cold Water. Aqua-pure Two pack special. 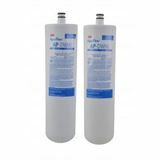 2-Pack Dirt/Rust/Taste/Odor cartridges For AP200 Under Sink System. 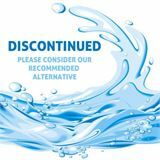 AP-DW 80/90, PN 55851-02, Replacement Cartridge Set For AP-DWS1000. Replacement Cartridge For AP500, AP510. Can be used in place of AP250R in most applications. 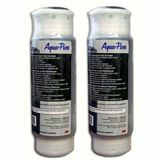 Aqua Pure Water Conditioning provides quality drinking water systems, components, and especially Aqua Pure water filters. 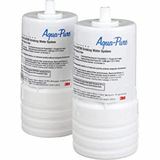 If you are currently using Aquapure filters, please visit our online store to locate your filter cartridge or housing. Orders placed online are discounted 20% to 40% off the list prices. 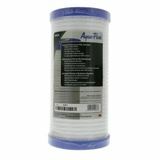 Don't forget to check out our weekly specials on Aquapure water filters and enter weekly drawing for prizes. The contaminants section is designed to help you isolate and eliminate any problems with your water. 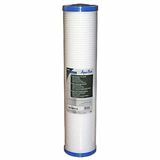 If you are looking for filters or housings other than Aqua Pure, or for any other water treatment needs please visit our Dowser Man website. We sell and ship our high quality filters and equipment nationwide! Service and installation is available across all of Southern Michigan. This is the official site of Aqua Pure Water Conditioning, Inc. located in Clarkston, Michigan. 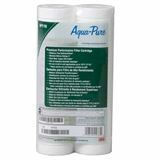 We are not the manufacturer of Aqua-Pure, Cuno, Purwater, MacClean or 3M brand filters. 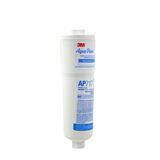 We are a specialized distributor and offer expert technical support for all Aqua-Pure, Cuno, Purwater, MacClean and 3M water filtration products in addition to sales and bulk distribution. To contact the manufacturer of the products we sell visit cuno.com.